Former Medina County resident John Moss plans to ride 2,500 miles from Washington State to Ohio on an Easy Motion NEO Jet electric bicycle. The cross-country ride kicks off today (June 4th) and is anticipated to wrap up around September 1st at the Century Cycles bicycle shop located in Medina. John Moss is an 80-year-old Korean War veteran who grew up in a West Virginia farming family of eight children. He raised his family in Medina County, where he served as a teacher and Planning Director. 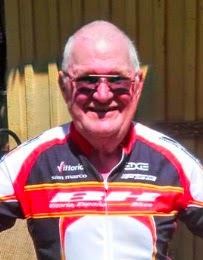 Nearing retirement from a family business, he began cycling when he was 62. He is now an experienced bicycle traveler who has biked across North America several times, including through the Yukon to Alaska. Rehabbing from a recent injury, John was dreaming of making one more long distance ride; an Easy Motion e-bike is helping him fulfill that lofty ambition. The bicycle was purchased at Cynergy E-Bikes of Portland, Oregon, and shipped to the Century Cycles store in Peninsula for assembly and tune-up. "This ride is a goal and personal challenge. I’d been told e-bikes weren't for touring. Then I found the Easy Motion NEO Jet. The Jet has the comfort, power, and range I need to complete my trip. The low top tube makes it easy to mount/dismount, which is especially important when carrying panniers. The front shocks will make the ride more comfortable, and the straight handlebars offer compromise between an upright and more aggressive position. Disc brakes are better for long downhills and the wet conditions I’ll travel through. 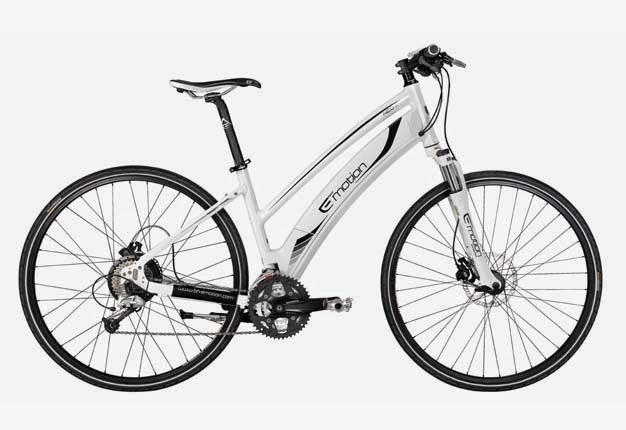 A critical feature is that the NEO Jet has regular Shimano Deore gearing and the bicycle rides well, even when the electric assist is turned off or inactive. After adding a rear rack, a mirror, and a seat-mounted water bottle holder, I’m literally set to Jet," said John Moss. The Easy Motion NEO Jet has an MSRP of $2,999. The NEO Jet’s 350-watt planetary-geared motor will allow John to travel up to 60 miles on a single charge. He is expecting to ride five days a week until he arrives at Century Cycles, his favorite bike shop in Ohio. His daughter Lois Moss co-founded Century Cycles with Scott Cowan in Medina in 1992. "John Moss will certainly be our long distance champion for e-bike riding," said Rich Fein, Owner of Cynergy E-Bikes. "We have customers that use Easy Motion bikes for commuting 10-30 miles round-trip per day, and the bikes have a range for even longer commutes and for recreational rides. At 300 miles per week, John will be showing that electric bikes are serious transportation for riders and potential riders." Easy Motion USA CEO, Steve Lindenau stated, "We are pleased John selected Easy Motion for his recovery and entry back into cycling and that he included us with his inspiring journey across America. We encourage other cycling enthusiasts to follow his voyage and progress and interact with John on his inspiring adventure." John is planning to follow the Northern Tier Route published by the Adventure Cycling Association, although he may change plans to follow good weather or a new adventure. Updates on the ride will be posted to the Easy Motion USA Facebook page.